A compilation of useful tips, suggestions and installation discussions for anyone interested in providing added home safety for family members. We are pleased to present below all posts archived in 'October 2016'. If you still can't find what you are looking for, try using the search box. If you have an elderly family member who has trouble standing up after laying in bed, sitting on the couch or sitting in a dining room chair, a stand assist pole can help them safely get into the standing position. However, many people have never heard of this home safety device. If you never have, you may have many questions about what it is and what you should look for when purchasing one. Here are a few frequently asked questions about this device. When you work with Home Freedom, you can be sure that you’re getting honest service from a team that genuinely cares about the safety and independence of seniors in the area. The process of aging or the onset of infirmity can be very difficult for both the elderly and their families. Senior citizens and those with disabilities fear becoming a burden to their families, losing self-sufficiency and being unable to do the things they enjoy and are accustomed to. We strive to return that precious capacity to our clients through the quality products and exceptional services we offer. Seniors and those with disabilities are increasingly empowered to stay in their homes. Home Freedom LLC believes they should have that right. 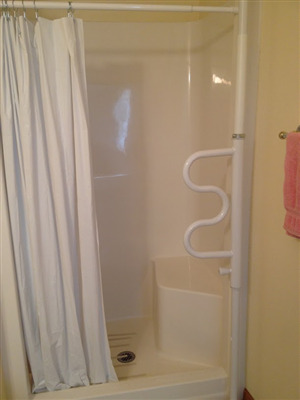 With a few adjustments, most homes in the Minneapolis, MN area can be equipped with ramps, grab bars, toilet safety accessories, automatic door openers, bed rails and much more - all of which help maximize independence in the comfort of your own residence.